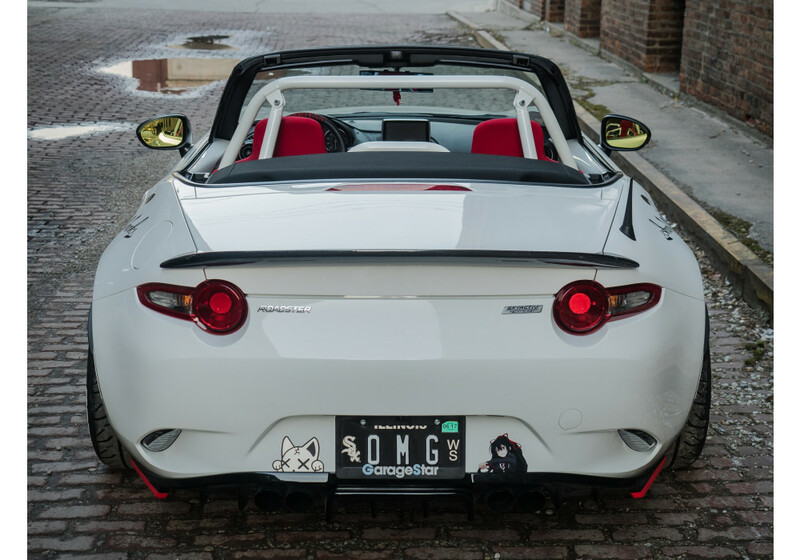 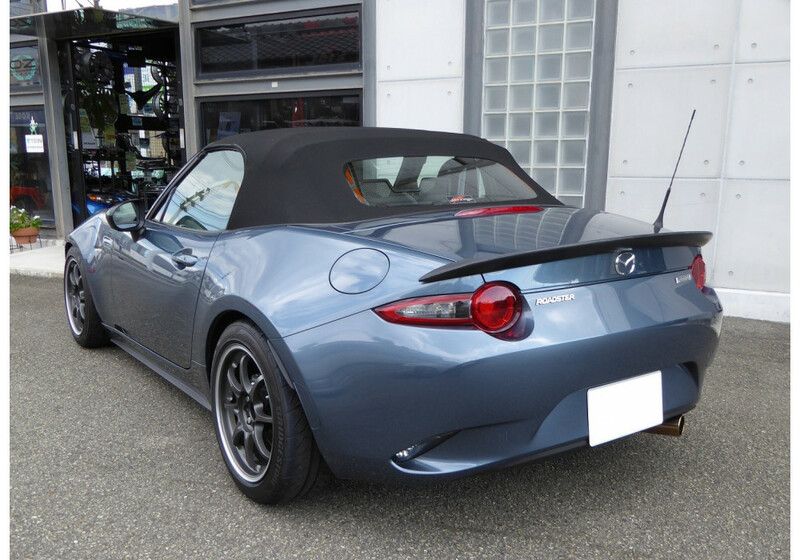 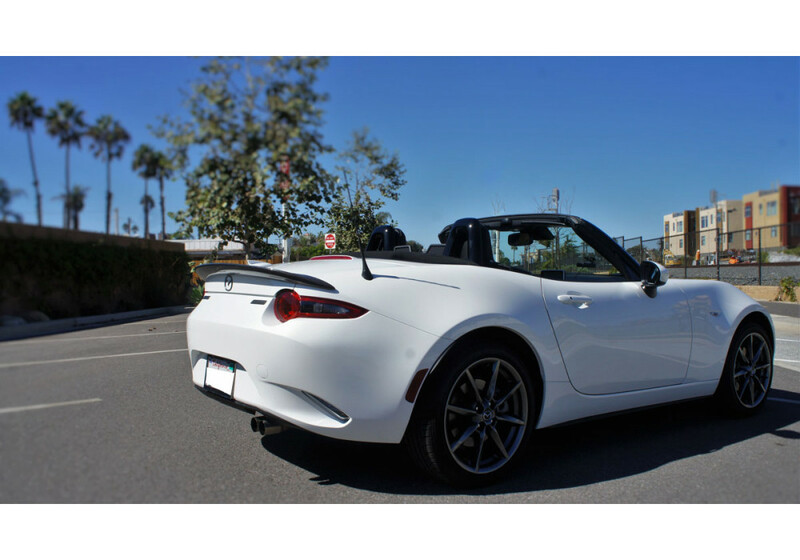 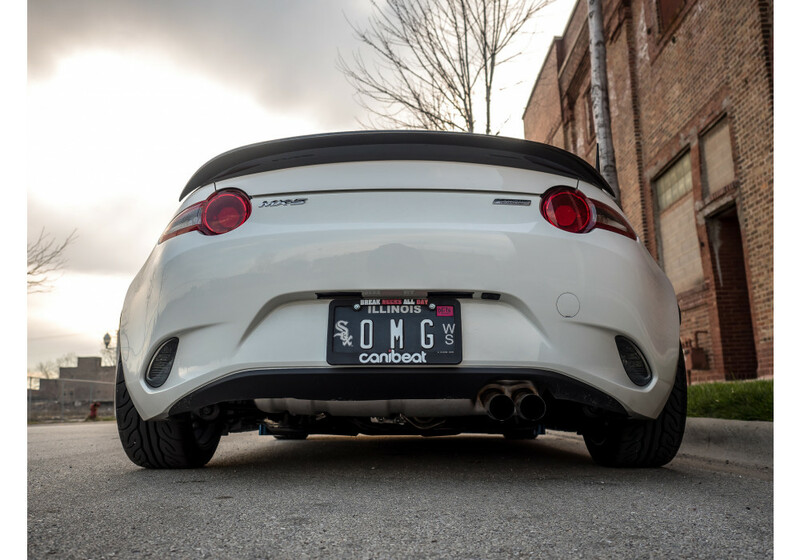 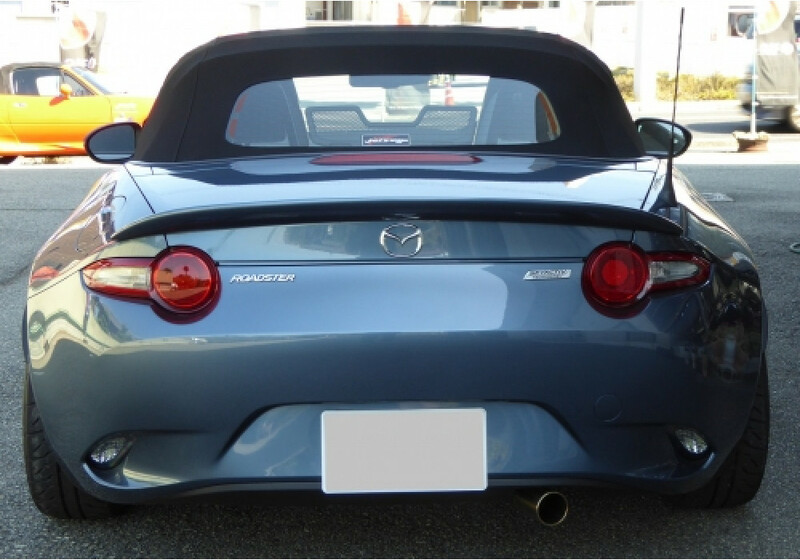 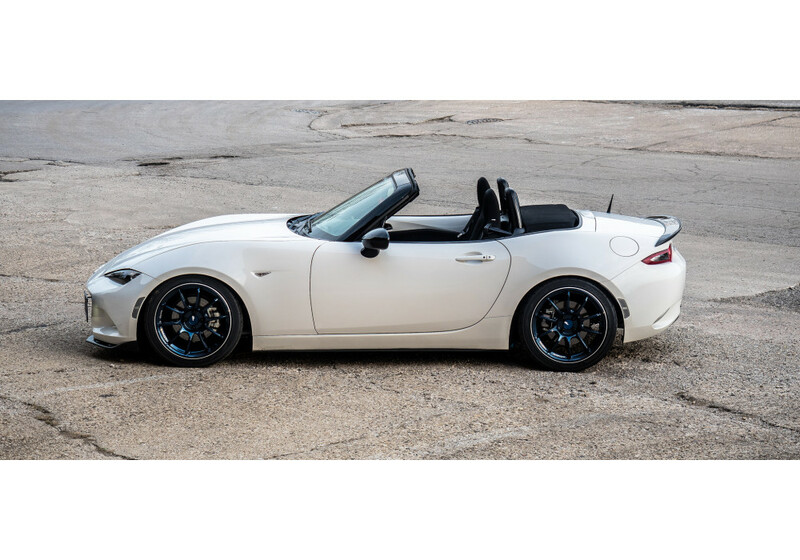 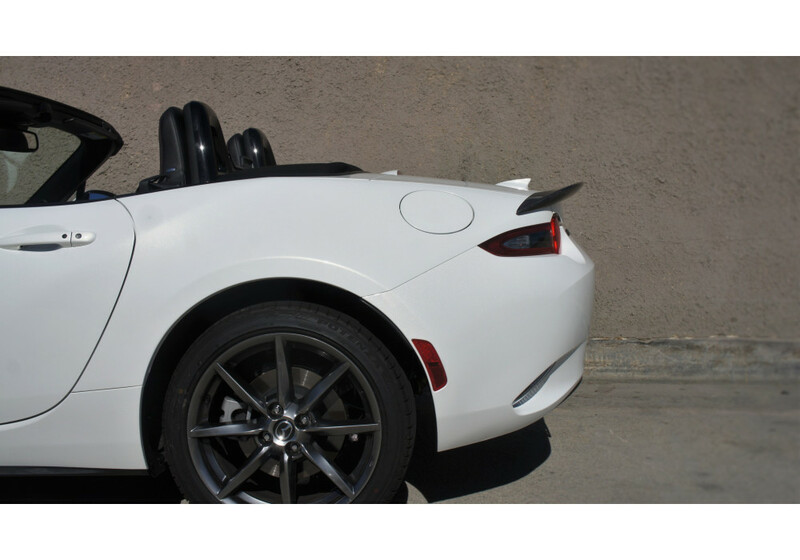 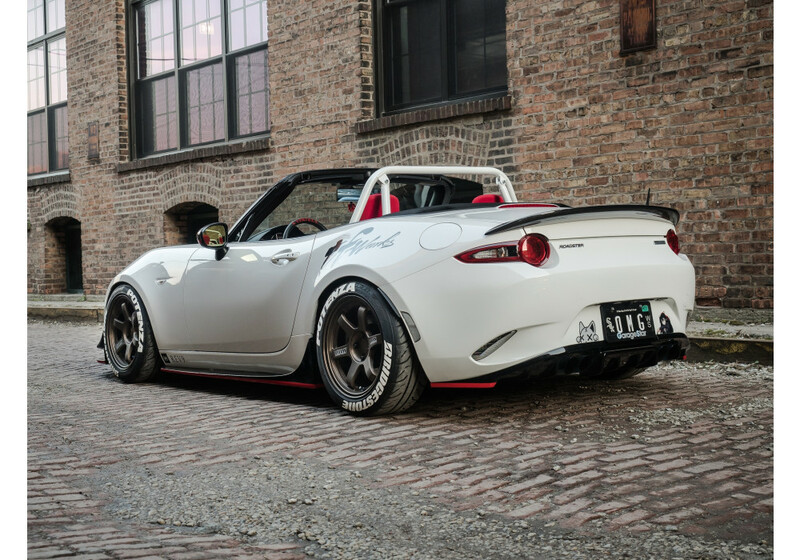 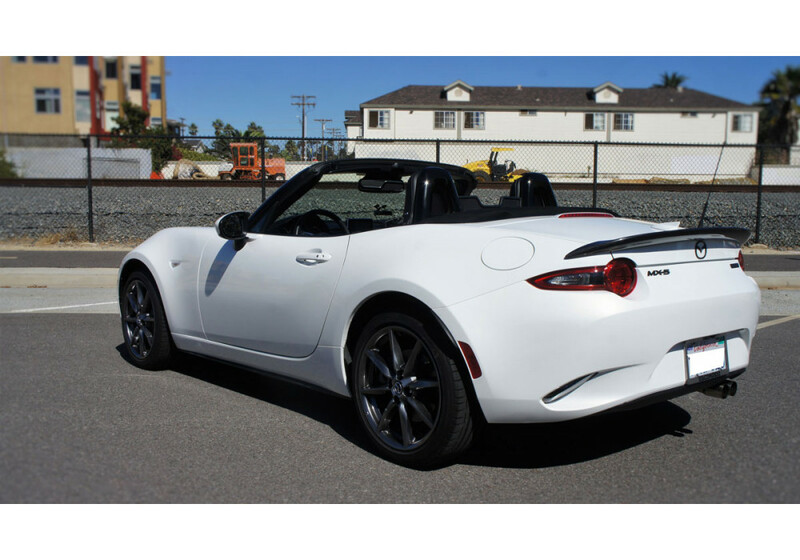 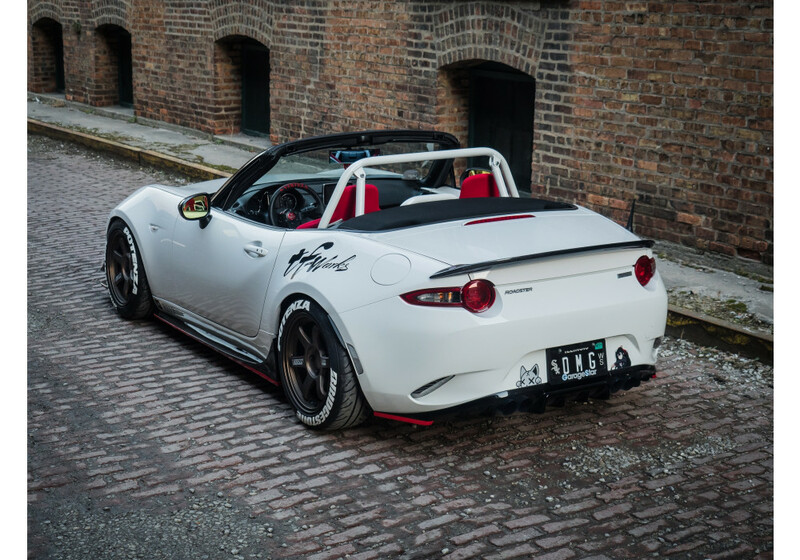 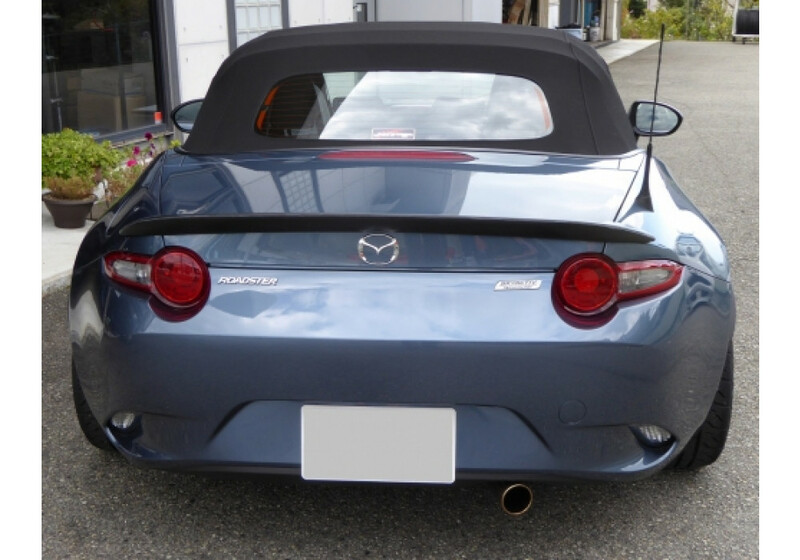 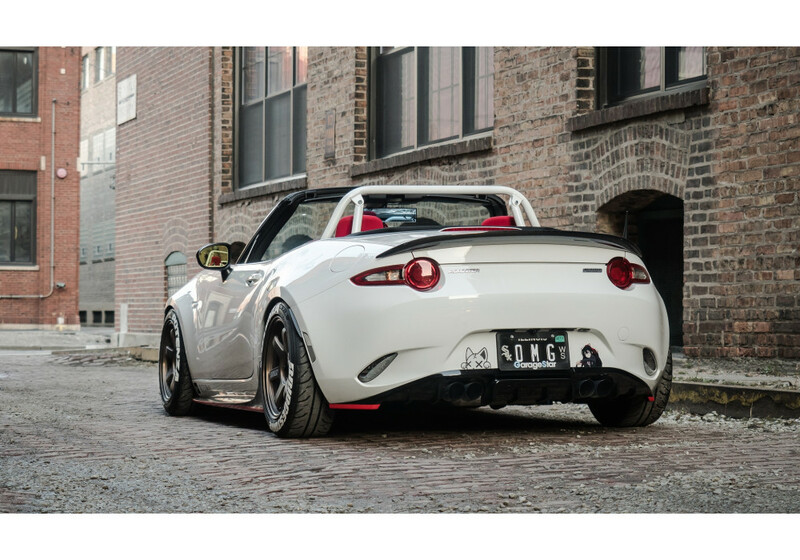 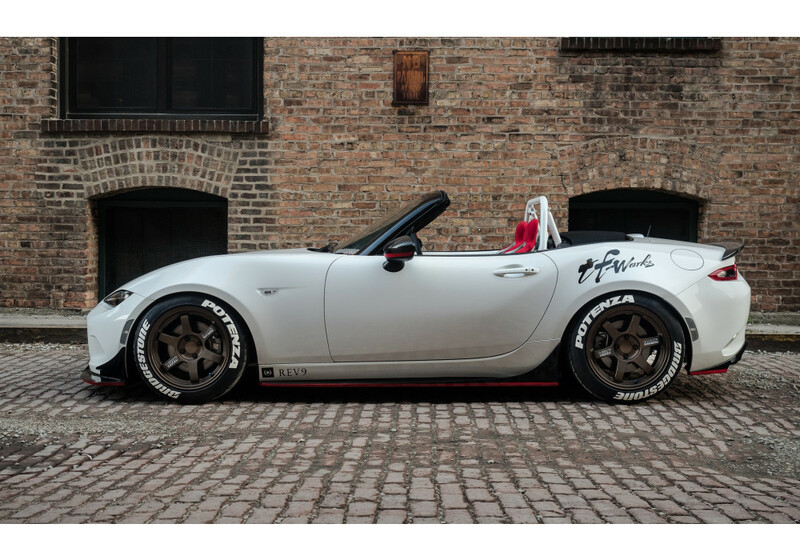 Duck Tail Spoiler made by Jet's for the 2016+ ND Miata. 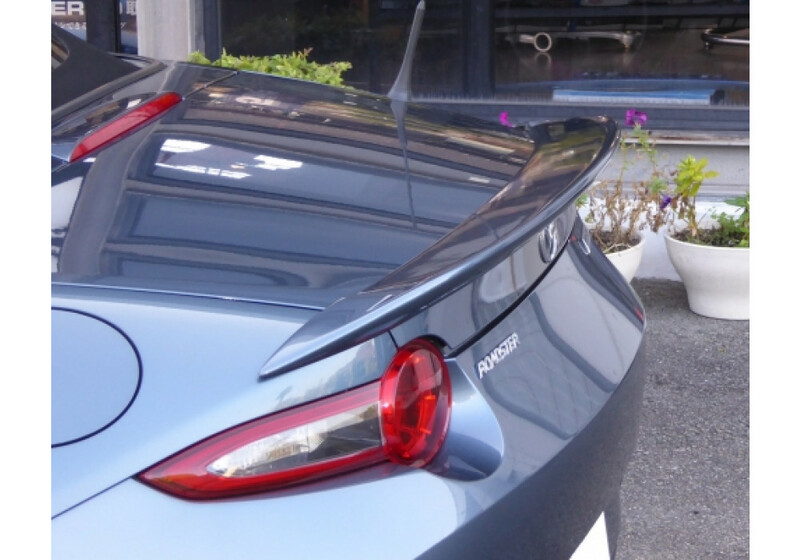 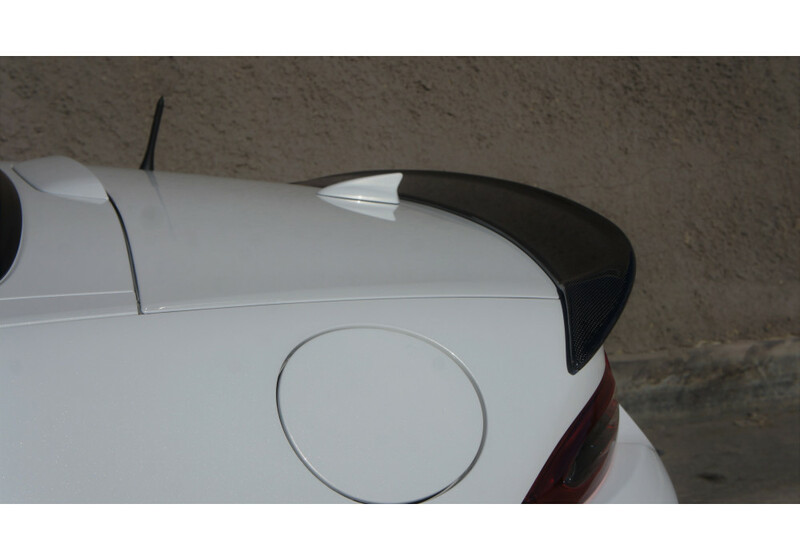 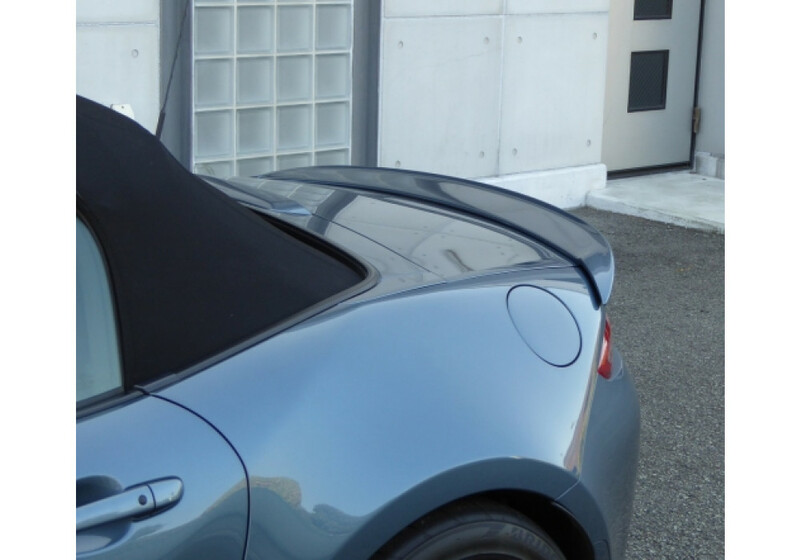 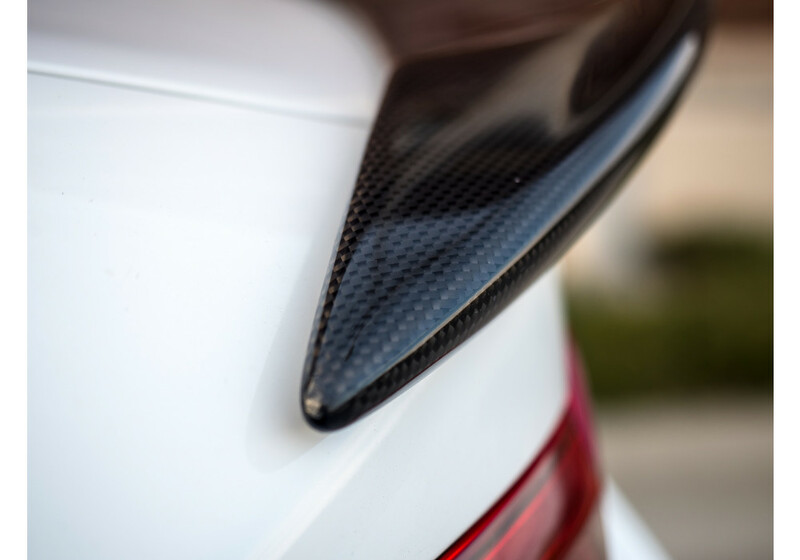 It is made to ensure the maximum downforce is provided using this kind of design for rear spoiler. 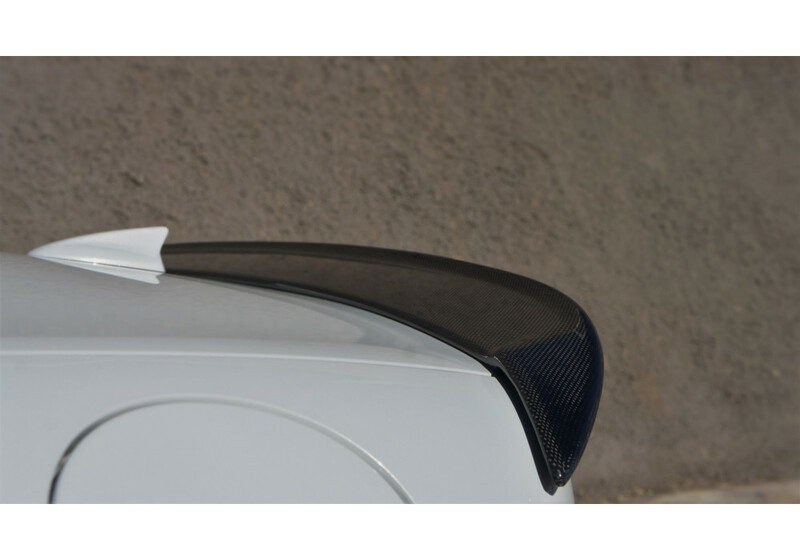 It goes as far as possible on the edges to make the best improvement to the aerodynamics of the vehicle as possible. 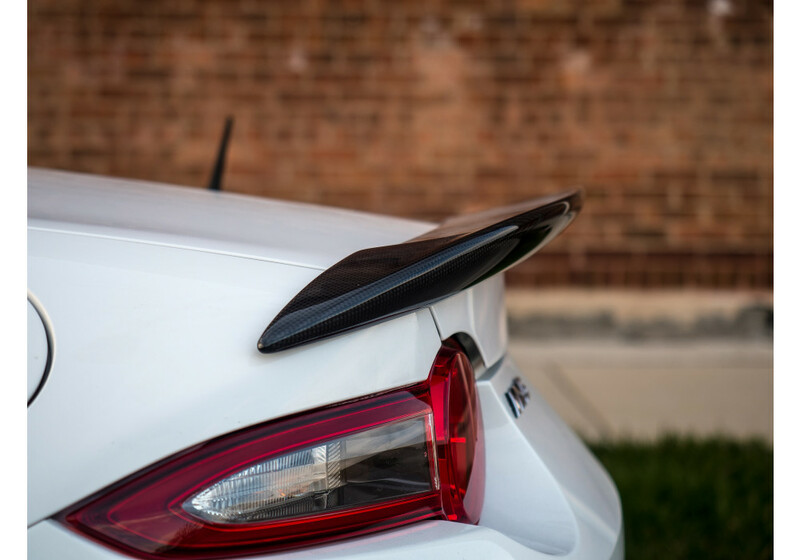 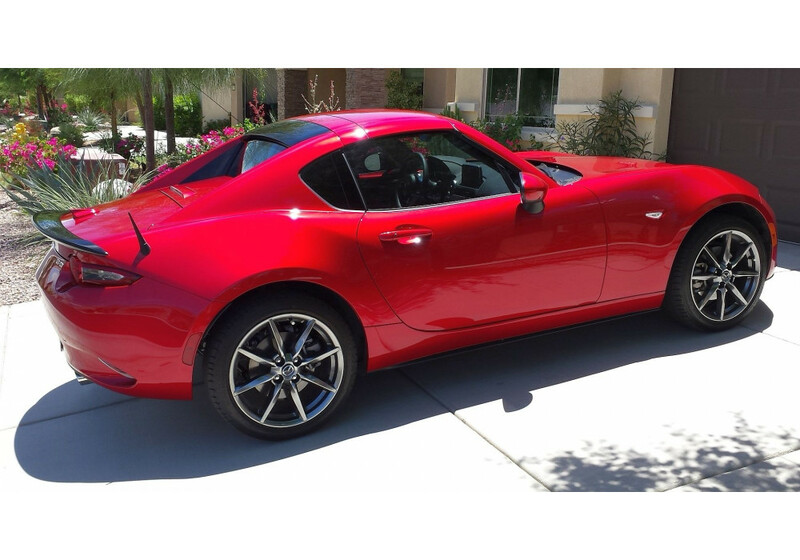 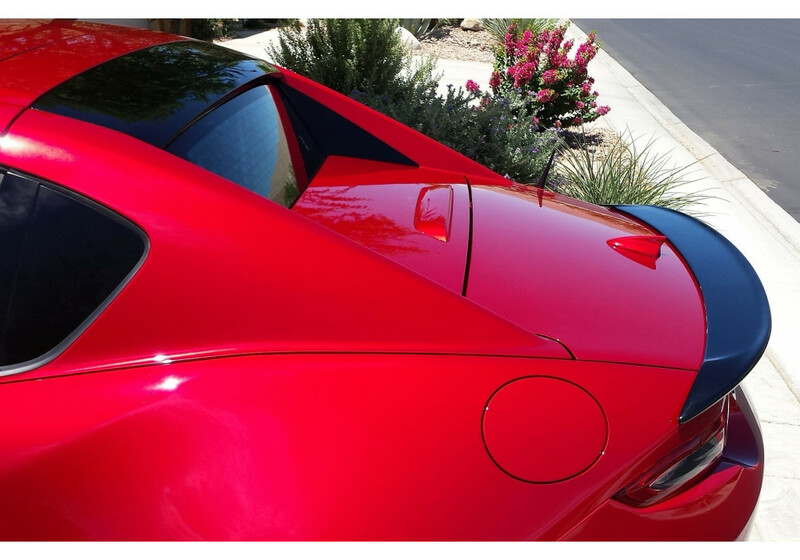 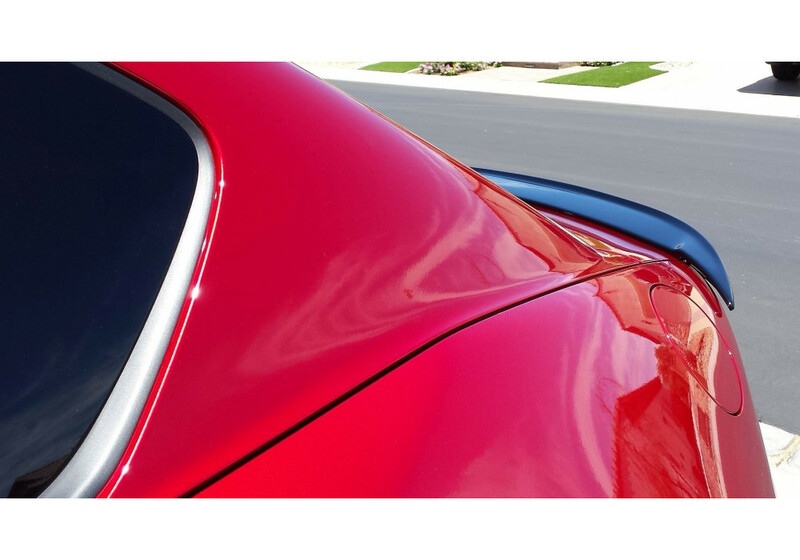 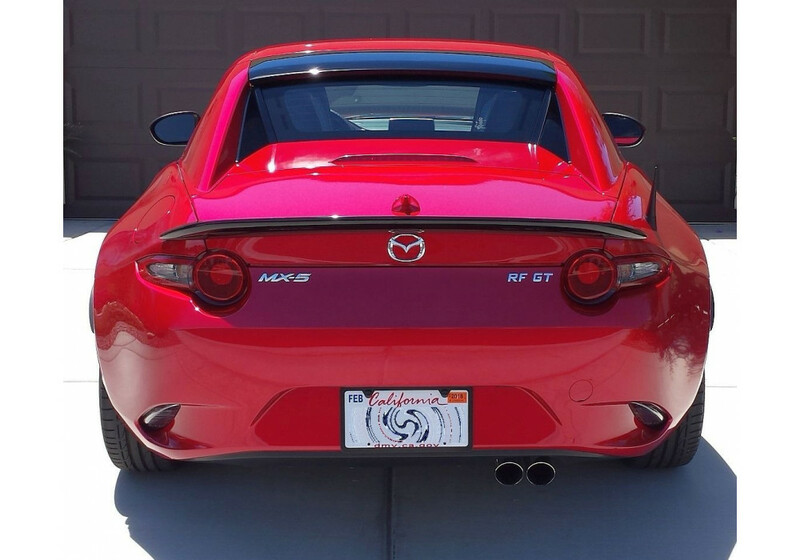 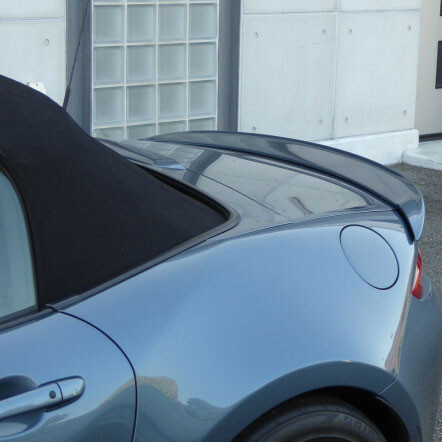 Integral Kobe Ducktail Spoiler should be ordered at REV9 Autosport https://rev9autosport.com/integral-kobe-ducktail-spoiler.html as they provide the best service and speed we've seen so far! 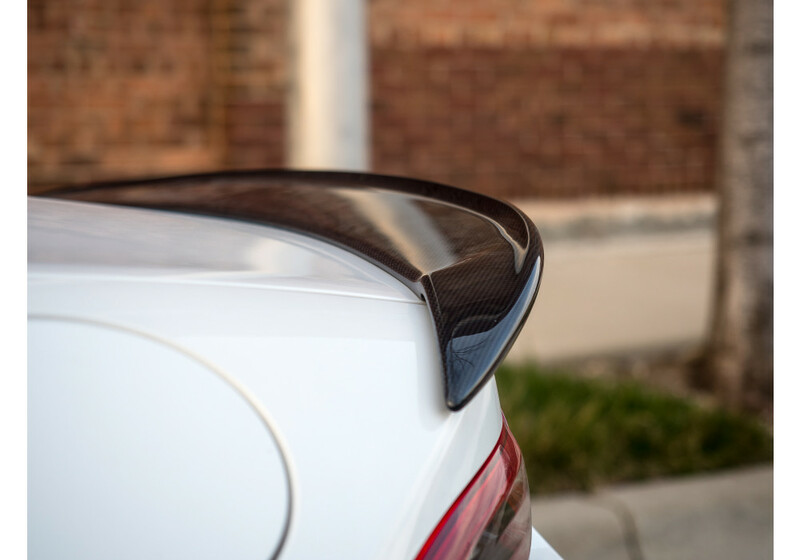 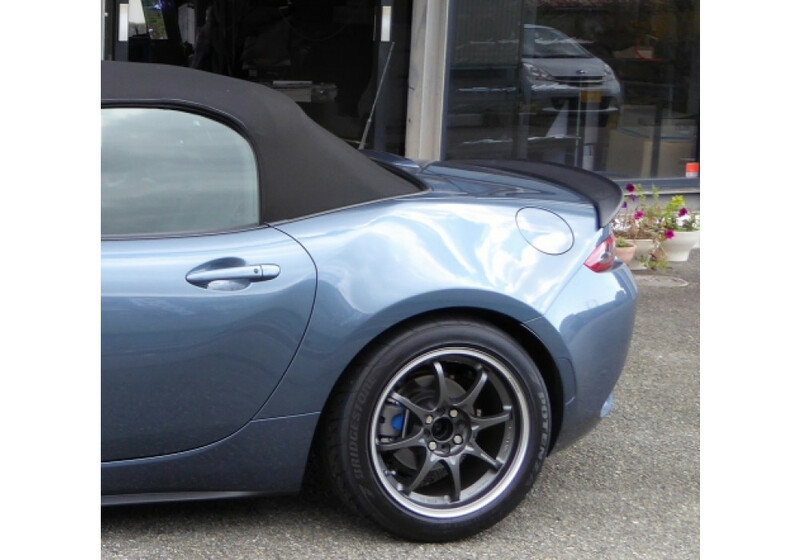 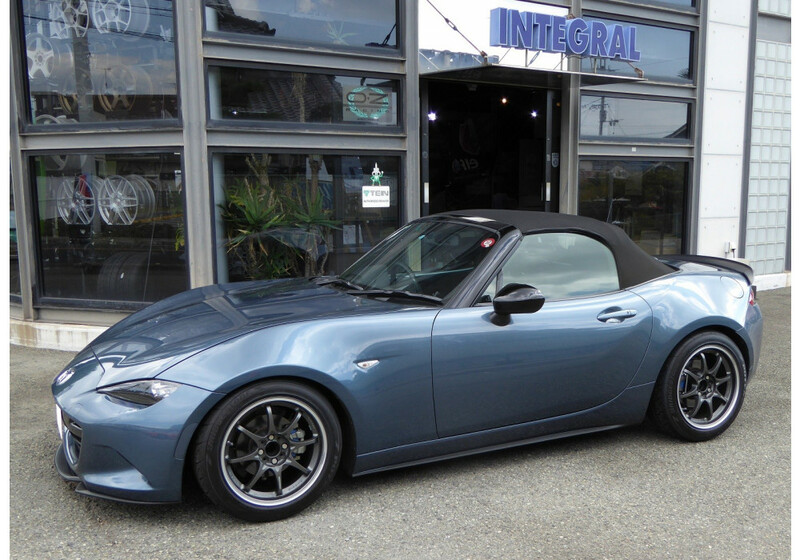 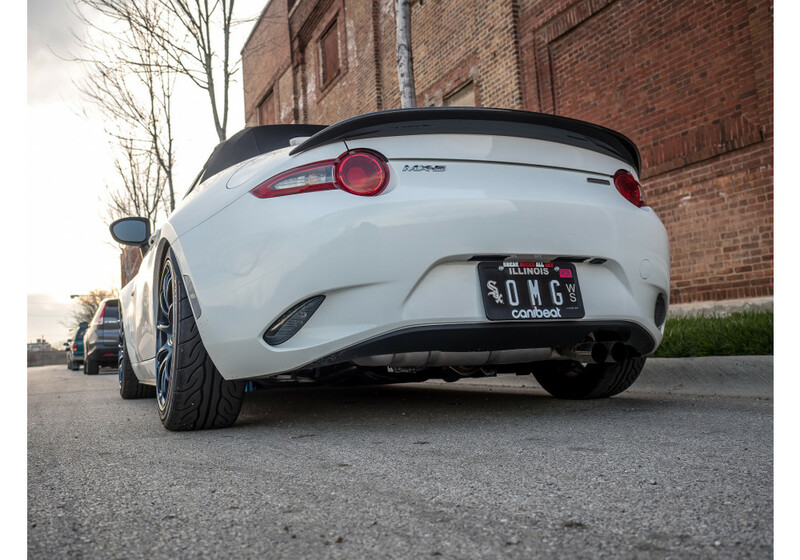 Does the spoiler leave room for the sharkfin satellite radio antenna on US-spec ND's? 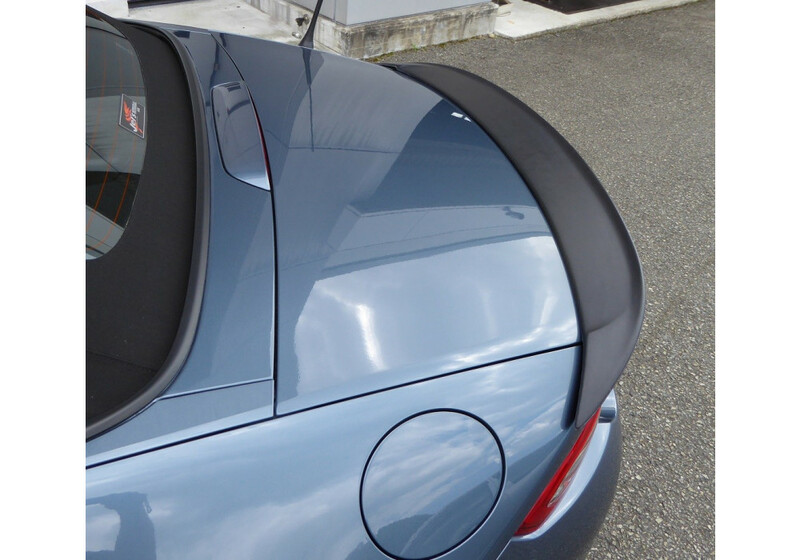 Yes, you can install the spoiler even if you have the sharkfin antenna.